Round off your lunch or dinner with a refreshing fruit dessert. 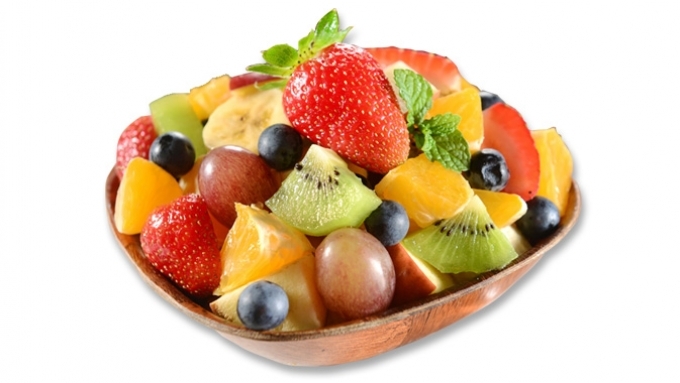 A fresh and colourful mixed fruit salad is just what you need to best end a summer lunch! Pineapple salad is so sweet as to be quite irresistible! This excellent dessert is refreshing, healthy and perfect on a hot summer's day. Pears in syrup and melted chocolate can be enjoyed at any time of year, thanks to their delicate and sweet taste. This unusual dessert makes a change from the usual, combining new flavours like the sweetness of prunes with vanilla ice-cream Definitely worth a try! If you are looking for a sweet that is suitable all year round, this classic and timeless strawberry salad served with cream is a delicious and fresh dessert to be savoured on any occasion.